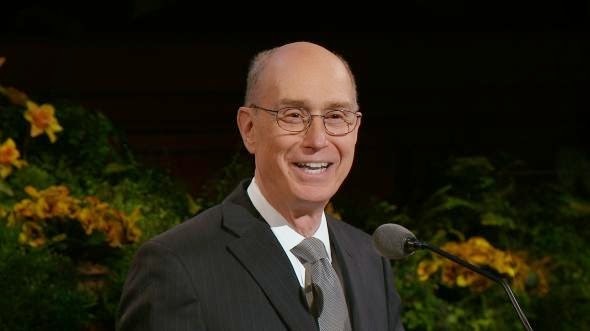 President Eyring addressed his remarks to those who have chosen to return to placing the covenants they have made with God back in the center of their lives. When you are on the path to eternal life, you leave an inheritance of hope to those who follow. These are family bonds that continue forever. For all of us, as they were for Heinrich, our duties are sometimes simple but are often difficult. But remember, the duties must sometimes be difficult because their purpose is to move us along the path to live forever with Heavenly Father and His Beloved Son, Jesus Christ, in families. Keeping our second estate depends on our making covenants with God. The blessings of Atonement bring us universal inheritance from Jesus Christ. Parents sorrow over children who have chosen to break their covenants. But there are miraculous examples from the scriptures to give hope, even when they resist his invitation. Every parent shares in the desire for righteousness for their children. God makes it attractive to choose the right by letting us feel the effects of our choices. If we choose the right, we will find happiness—in time. If we choose evil, there comes sorrow and regret—in time. Those effects are sure. Yet they are often delayed for a purpose. We take both the short and the long view as we try to give the inheritance of hope to our family. In the short run, there will be troubles and Satan will roar. And there are things to wait for patiently, in faith, knowing that the Lord acts in His own time and in His own way. They will remember. Memories may bring them back. We rely on faith, hope, and charity to guide us as we look at the long view. Church leaders share a spirit of optimism - "Oh, things will work out".